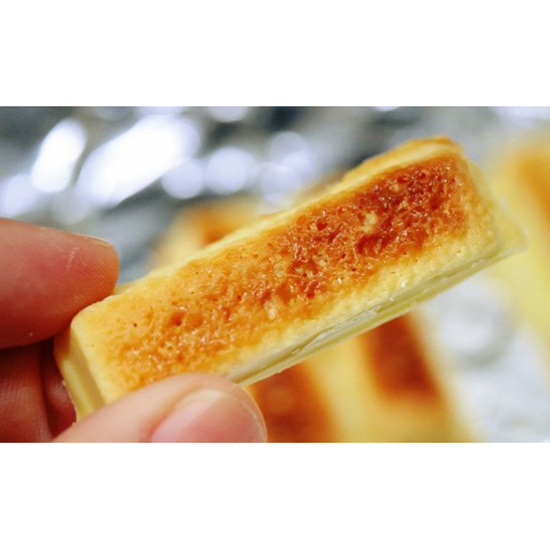 In case you didn’t know, Japan has specially formulated Kit Kats that can be baked in a toaster oven. Normal-looking Kit Kats turn into sweet caramelized crunchy cookie goodness after just a few minutes. While in Hong Kong, I bought the sweet potato flavor. 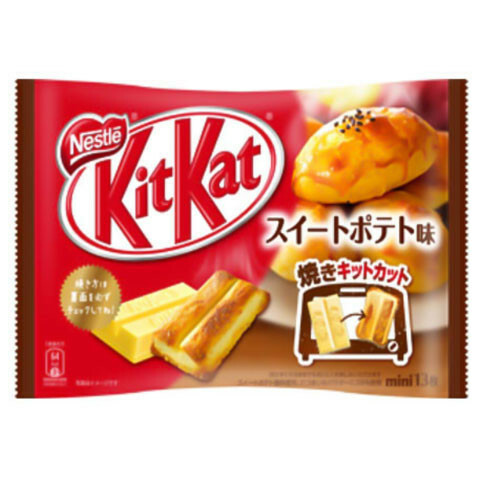 Maybe I’m biased because of my obsession with sweet potato, but in my opinion, this is the best way to eat a Kit Kat. These were almost too sweet, but they’re still worth buying again. Maybe I’ll get the pumpkin pudding flavor next. The instructions are in Japanese, so if you want to bake some yourself, use the instructions below. I found some general instructions from Eat Your Kimchi and a video by Kit Kat. 1. Let them sit in the fridge. This will help them hold their shape better. 2. 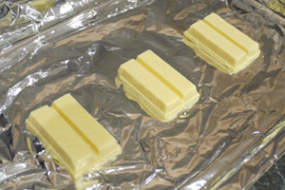 Line the toaster oven tray with aluminum foil or parchment paper. 3. Unwrap the Kit Kats and put them on the tray. 4. 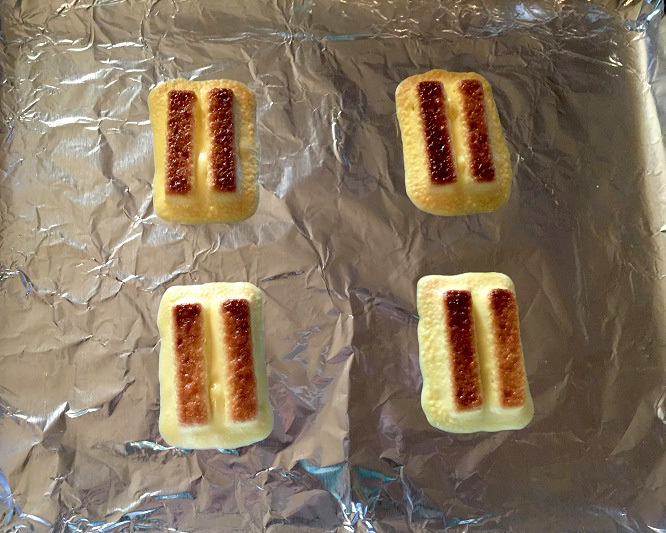 Put the tray in the toaster oven for 2-3 minutes (temperature is unspecified, so try low–medium heat). 5. Watch carefully as it will go from brown to black in a couple seconds. 6. Take out the tray when the Kit Kats look light to medium brown on top. 7. Let the baked Kit Kats cool and enjoy in moderation, if you can.